I often describe myself as a 'juggler' I'm the kind of person who is always busy and always has a hundred and one things to-do or to go to, but to be honest I wouldn't have it any other way. The one main downside to being a juggler is that I don't get nearly as much sleep as I should, hence I'm often sporting big dark circles under my eyes, boo! I've tried many different concealers but most crease after a few hours and my makeup often has to last from 8 in the morning till 12 at night when I get home after a few post work cocktails ;), thankfully Benefit have solved the mystery of how to hide my unsightly dark circles: Fake Up. I was lucky enough to be invited along to the Glasgow launch of FakeUp earlier this week and try out FakeUp a whole 4 weeks before it fully launches in the UK! Tres exciting! FakeUp is a revolutionary concealer which will help to solve many a girl's concealer woes, perfect no? You're probably wondering what makes it different though? FakeUp is a hydrating undereye concealer which keeps the skin hydrated for up to 6 hours. It is made up of a hydrating ring and a concealer core; the ring contains vitamin E and apple seed extract which provide moisturisation and the concealer effectively hides dark circles and smoothes out uneven areas. So much makeup! I was lucky and one the foundation (perfect as I just ran out of Hello Flawless!) and was given the Pore-fessional earlier in the day, when I was browsing House of Frasers; the Benebabes are popping into counters on their roadshow and giving out treats! AMAZE! 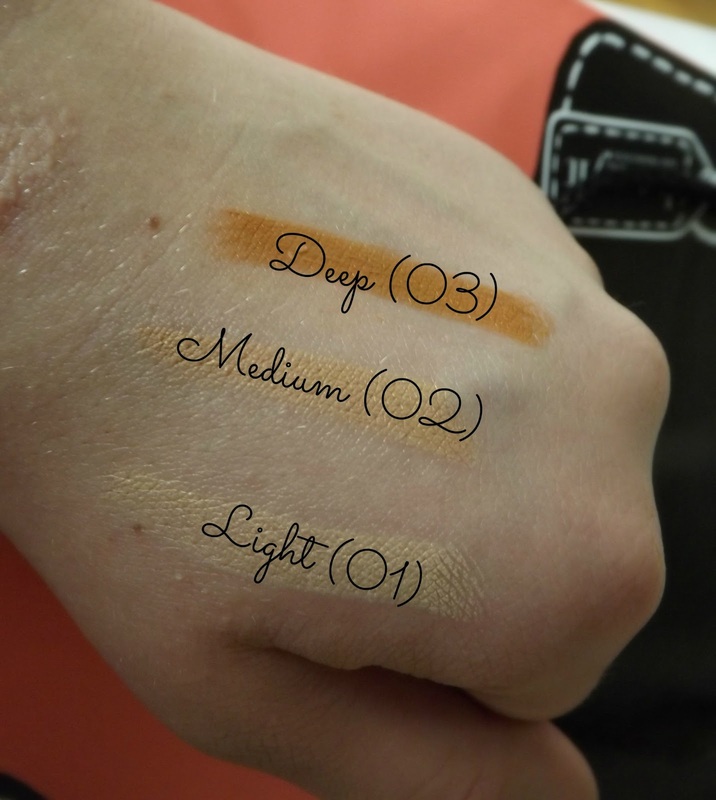 Super lucky that Benefit also gave us all three concealer shades to try out too. There are many benefits to FakeUp and I'm looking forward to posting a full review once I've used it a little more, for now I can let you know that the two days I've used FakeUp it has lasted all day (12 hours plus) without creasing and has effectively covered up my massive undereye bags, so far very impressive. The actual launch of FakeUp was a great chance to catch up with some of the lovely Scottish bloggers I have gotten to know at previous meet-ups and events, and a chance to finally meet the gorgeous Benebabes in the flesh! Their enthusiasm is infectious and they were all lovely! The event was held in House of Frasers Glasgow, in the Champagne bar throw some Pink Champagne, tasty canapes and a quiz with makeup as the prizes into the mix and we were set to have an amazing night! Rachael, Joanne and Claire, solving the FakeUp mystery! The lovely Lisa Potter-Dixon (Head Make Up and Trend Artist /Brow Expert for Benefit) demonstrating just how fantastic FakeUp is, so simple to use and works a treat! Last but not least a picture of the super cute Benefit cushions at the event. 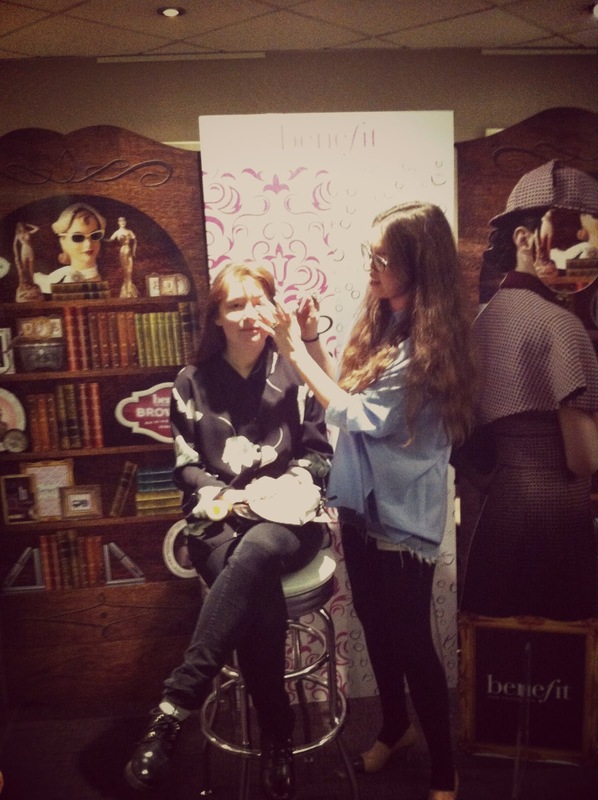 Will you be making a beeline to your nearest Benefit counter to try FakeUp? Or do you have a favourite under-eye concealer already? I'll definitely be trying this out! It looks great!